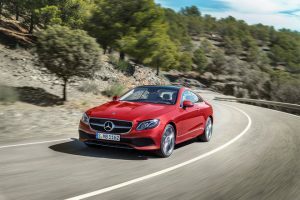 Compared to its sedan sibling, the Mercedes-Benz E-Class coupe takes a less austere and more daring approach to its design. For the 2018 model year, Mercedes has completely revamped its midsize coupe, and most of the changes are easy to see. Before we ask you whether the new model is refreshing or revolting, let’s examine the some of the style updates. This year, just like every other year in the past several decades, Americans will buy more Ford pickup trucks than any other vehicle. The final tally for 2016 will come in around 800,000. Other big trucks come in far behind, and then there’s the Toyota Camry and Honda Civic. American drivers are creatures of habit, so it takes little effort for Ford to win the annual sales crown. To squeeze a big sales boost out of a less-popular vehicle that’s been around awhile, on the other hand, is just about the toughest trick in the auto industry. To that end, Bloomberg crunched sales data through November to see which models posted the biggest demand spikes and swoons. These are the vehicles that show us the future — and soon-to-be past — of the car business. Mercedes-Benz sold the most luxury autos in the U.S. again in November, virtually guaranteeing that the Daimler AG brand will take the full-year title from BMW. Sales of the Mercedes GLC sport utility vehicle more than tripled while C-class car deliveries held steady, giving the brand a 1.1 percent increase for the month to 30,363, according to a statement today. Toyota Motor Corp. said Lexus slipped 1 percent to 29,050, and BMW AG reported an 18 percent drop to 26,189 for its namesake brand. 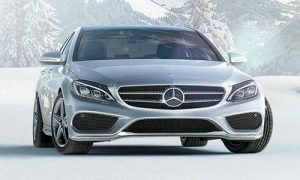 Mercedes is offering more SUVs and in a broader price range, said Rebecca Lindland, senior analyst at Kelley Blue Book. “They have a sense of how to make them attainable without losing that sense of luxury,” which is giving Mercedes a competitive advantage, she said. LOS ANGELES — Jaguar Land Rover CEO Ralf Speth has the British automaker growing at a record pace, but he wants to make sure the company always puts profits ahead of volume. Speth outlined the next steps in JLR’s model and plant expansion, which include the addition of a factory in Slovakia and outsourcing output of its Jaguar I-Pace electric crossover to contract manufacturer Magna Steyr. Speth, 61, discussed JLR’s plans with Automotive News Europe Editor Luca Ciferri and Automotive News Print Editor Richard Johnson at the auto show here in November. Q: How many vehicles will JLR produce this year, and when will it hit the 1 million-unit-a-year target? A: We are going to grow in a profitable, sustainable way. Last year, we built 520,000 units, and we are growing. With all the political and economic changes, where we will end up this year, nobody knows. Also, the 1 million target is far away. 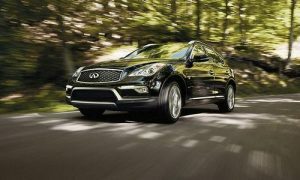 You know the type: no matter how special a car some folks have, they’re always on the lookout for something…special-er. If that’s you, our next car is one you may not have thought of: the Aston Martin V8 Vantage Roadster GT. Sure you could buy one just for the beauty, or even its rarity. But it’s a whole lot more special than that! One look at the 2015 Aston Martin V8 Vantage Roadster GT, and there’s no mistaking that it belongs in the legendary Aston Martin family. But while traditional styling cues are obvious, and the overall look is far from fresh, there’s no denying this car is truly stunning; and proof that there is still plenty of shelf life left for a design that works this well.